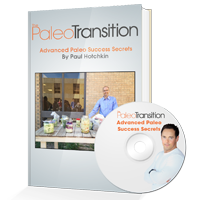 The Paleo Transition | The Secret Diet Solution For Celebrities, CrossFit Champions and Olympic Athletes! 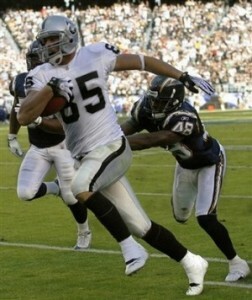 The Secret Diet Solution For Celebrities, CrossFit Champions and Olympic Athletes! However, very few people REALLY understand how to implement this diet the right way…which is why most people FAIL MISERABLY when they try to transition from a Standard American Diet to the Paleo Diet! FACT: All of these problems can be directly linked to your diet! The Paleolithic (Paleo) Diet is a very specific nutrition plan that’s based on how the human species consumed food for the vast majority of our existence. Until about 10,000 years ago, humans ate a specific type of diet that was designed to optimize our lifestyles as hunters and gatherers. Unless You Take The Right Steps! For most people, diet and nutrition habits are extremely difficult to change. In fact, most individuals fail when they try to follow a specific plan! It’s understandable, because our bodies have become accustomed to our Standard American Diet (no matter how unhealthy or damaging it may be). Hi, my name is Terry Shanahan and over the course of my career, I’ve helped professional athletes, CrossFit athletes, Olympic athletes, and regular people of all ages and body types change their lifestyles using a very specific diet strategy. In fact, I’ve built my career on helping people all over the world to feel better, look better, and perform their best throughout their day…using my special Paleo Transition method. Before I found the Paleo Diet, I was a long-time sufferer of chronic illness, fatigue, and inflammation. I literally spent a decade in and out of doctor’s offices and seeing specialists all over the country. I wanted to know why someone who was “fit” like myself could possibly be so sick all the time! What I Discovered Was Shocking! For over a decade, I’d been addressing the symptoms of my problems and not the root cause! The answer was found in my diet. After years of trial and error, I eventually discovered the Paleo Diet and nothing was ever the same again. I also help people who simply want to dramatically improve their quality of life, health and appearance! My incredibly powerful diet program was previously only available to my personal consulting clients: professional athletes, celebrities, and people who were willing to pay thousands of dollars for 1-on-1 private coaching. Now, for the first time ever, I’ve decided to give the very same coaching that I offer to elite athletes and celebrities in an easy-to-follow format…for only a fraction of the price! I will give you a behind the scenes look into my home and show you exactly what I do on a daily basis. 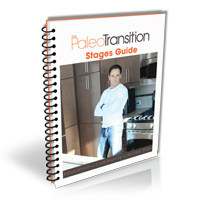 These secrets will show you how to optimize your own living environment and implement a Paleo lifestyle! Have you ever really been taught how to properly train with Kettlebells? Kettlebells are rarely properly used by high-performance athletes in the United States. You can use kettlebells from home or in the gym to cross-train and increase your power, strength, mobility, and endurance. 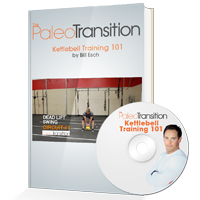 This amazing video bonus course is taught by US Kettlebell Champion and Record Holder, Bill Esch! 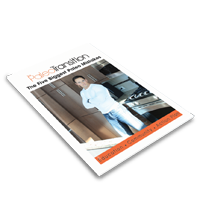 This video bonus will offer you top tips for how to implement Paleo without breaking the bank and daily success strategies for meal preparation to save time. It will also cover more advanced permaculture design and home economic ideas for the serious Paleo advocate. This bonus lesson will be taught by Paul Hotchkin. 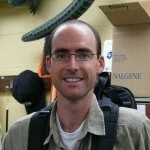 Paul is a Paleo expert, Functional Diagnostic Nutritionist, Permaculture Design Consultant, and a Biology Professor. 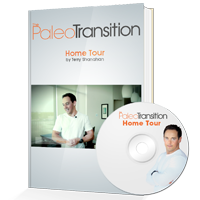 All of the Paleo Transition video lessons are focused on improving body composition, performance, and helping you feel your very best. 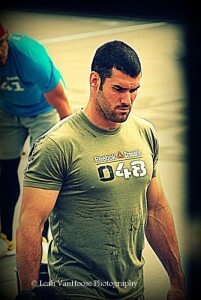 These are the same techniques that I use to help ELITE CrossFit competitors reach their full potential! Why you need to stop counting calories immediately! Will eating fat make you fat? Understanding the significance of “gut health” and how to heal your own! My entire life changed when I started living the Paleo lifestyle, but it took me several years to discover what worked and what didn’t. 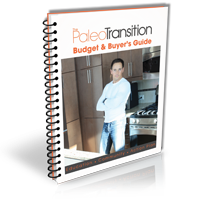 Now, I’m giving you the same information and strategies (that my clients happily pay thousands of dollars for) so that you can literally cut YEARS off of the time it takes you to transition smoothly into the Paleo Lifestyle. Remember: this diet is NOT a fad…this is the #1 way to boost your energy and have your body operating at PEAK efficiency. HOWEVER, when I thought back on the time when I was so sick and unhappy with the way I felt about myself, I realized that there are far too many people out there who need my help. That’s why, for a VERY limited time, I’m offering a serious discount to the entire Paleo Transition Program. This means that you get everything for the incredibly low price of $499, $399…$197! 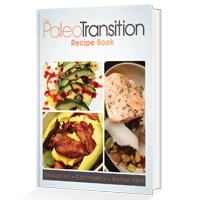 Click HERE to Make Your Very Own Paleo Transition Today! I’ve helped countless people make the change to a healthier and happier lifestyle. Now, you can get access to my entire system and discover a new level of performance with the diet that is changing lives all over the world. You deserve to look and feel your best, and I’m here to help make that happen! P.S. 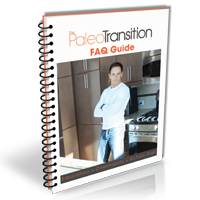 If you’re serious about getting into incredible shape, operating at your peak performance levels, and feeling the best that you ever have in your life…then I guarantee that The Paleo Transition can get you there. P.P.S. Have a question? We probably already answered it below! Q. 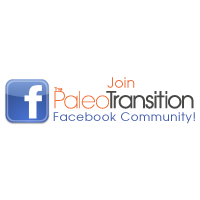 What makes The Paleo Transition different than everything else I have tried? A. 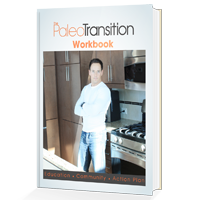 Like other programs, The Paleo Transition will offer you an action plan for success. 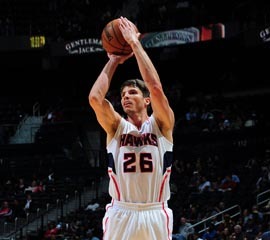 However, action plans are not enough to ensure long-term success. This course is different than anything else that you have ever tried because it also offers comprehensive education so you actually understand why you are doing what you are being told to do. Secondly, you have access to an online community of people who are going through exactly what you are going through. 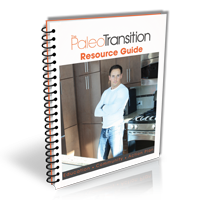 There is 24/7 access for support, accountability, coaching, questions, and encouragement from coaches and other individuals who have successfully completed The Paleo Transition. The combination of 1) Education, 2) Community, and 3) Action Plan is what makes this program different from anything that you have tried before. Q. How long will I have to wait to receive access to all of the course information? A. Everything is electronic and online! You will gain immediate access to the course material. There is no wait, no shipping fee, no handling fee, and no delay in you achieving your goals. Q. I have struggled trying to eat a Paleo Diet previously, do I have to eat a strict Paleo Diet in order to do the course? No! Many people have struggled eating a strict Paleo Diet and that is exactly why I created this course. 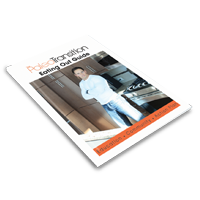 The step by step action plan delivered through this program allows you to transition at your own pace and make consistent steps in the right direction. Q. 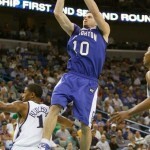 How much access will I have to coaching from Terry Shanahan and other experts? A. I check-in with our Online Community at least five times per week to answer questions and share tips that pertain to more individually based needs. My team of experts answers questions multiple times per day and we also have occasional guests stop by for live Q&A! Q. 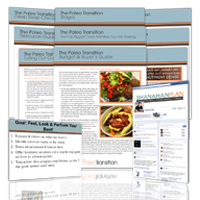 Does The Paleo Transition online coaching program end after 30 days? A. No. Our most successful participants achieve life changing results in the first 21 to 30 days, but this just the beginning of a life-long journey. You have life-time access to all of the video lessons, success documents, bonus features, and our online community so that you can continue to make improvements through participation in our lessons online. Q. Who is this course made for with respect to age and experience level? A. This course is designed to help the masses! It does not matter how young, old, experienced, or inexperienced you are. There are literally complete beginners learning along side professional athletes in The Paleo Transition and both have achieved great success. The reason for the wide-ranging success of our program is because 1) Paleo works for everyone in terms of eliminating factors that block your body from being at its healthiest, and 2) our action plan offers beginner, intermediate, and advanced stages so you can begin the course at the your current level of Paleo knowledge and skill. Q. I do not have a fitness or science-based background. Will I be able to understand all of the lessons? A. Yes. This course does not use advanced scientific jargon or complicated methods. The information is delivered in laymen’s terms and very easy to follow. Q. What if it doesn’t work for me? A. I am completely confident that this course will work for you and I offer a 100% money back guarantee to anyone who participates in the course and is not satisfied. Q. 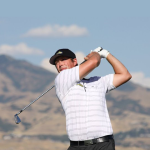 How long does the course take to complete? A. Most participants get through the education modules in one week and then jump into the 21 Day Action Plan immediately after that. The average person completes the course in approximately 30 days. However, many participants stay engaged in our online community for a lifetime!